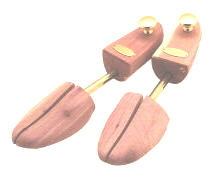 Solid toe high vamp with attractive brass knob. Solid toe with attractive brass knob. 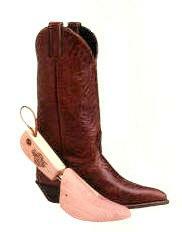 Brass knob with a split toe. 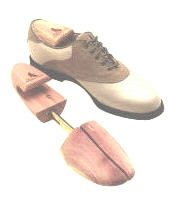 Our most popular shoe tree. 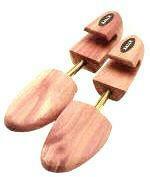 Classic full cedar heel hook with split toe. 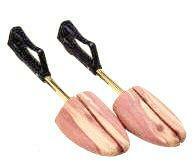 Split toe with rawhide loop. 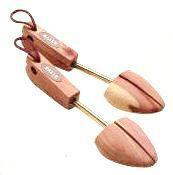 Split toe with lightweight plastic handle. 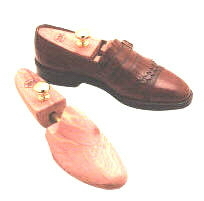 Classic solid toe with full cedar heel hook. 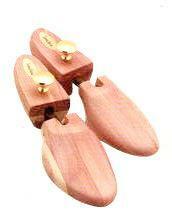 Solid cedar toe with rawhide loop. Made to fit women's styles from flats to heels. 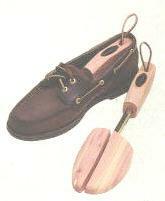 Solid cedar toe and heel with rawhide loop. of dress and English riding boots. 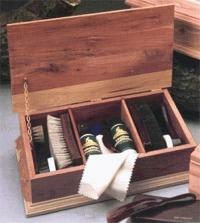 Solid cedar with brass knob. 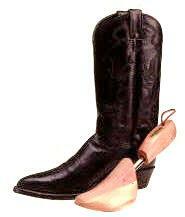 men's and women's boot sizes 6 to 13.